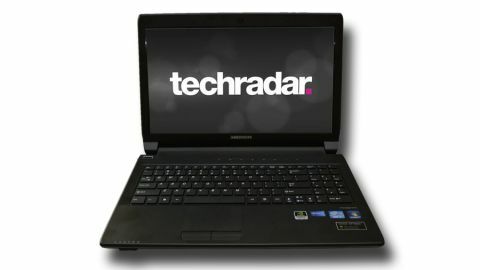 The Medion Akoya P6635 laptop is a heavy-specced workhorse, with a bargain basement price. At just AUD $799 (GBP £549) , Medion has packed in a third generation Intel Core i7 processor , USB 3.0 ports, Bluetooth 4.0 connectivity, a 750GB hard drive and 4GB RAM. There's even a spare RAM slot for adding extra memory later yourself, while an NVIDIA GeForce GT 630M keeps the graphical side of things in check. Compared to a $2,499 15-inch MacBook Pro, or a $1,499 XPS 15 from Dell, that price is exceptionally appealing. With a price point usually reserved for high-end netbooks, yet internal hardware that could cost you up to four times the price, you have to wonder what the catch is. The answer is style. The Akoya P6635 is a beast of a laptop, its 2.5kg heft and 4cm height make it significantly less portable than other 15.6-inch models. The glossy plastic covering on the lid is a dust and fingerprint magnet, and looks worn every time you pull the laptop out of a bag. But as the proverbs always tell us, you should never judge a book by its cover. Once you get past the chunky design, you'll find a solid performer, capable of dealing with almost anything you throw at it. There's a full compliment of connectivity options, and a full-size chiclet keyboard which incorporates both arrow keys and a full number pad. While it won't threaten the likes of Asus or Acer in terms of market share, the Medion does seem to offer a good collection of hardware packed into an exceptionally affordable price.